Last week, we did a very quick video test with the new Panasonic GH3. 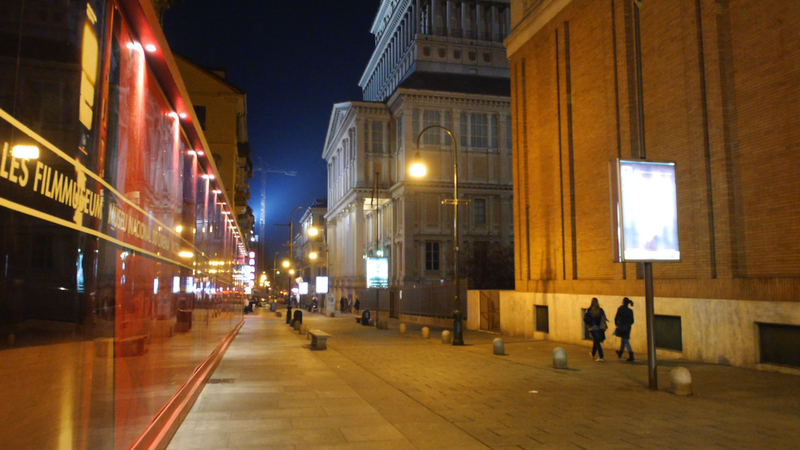 We shot for one hour or so in Turin before going to get something to eat. I was very excited to test the quality the GH3 as several professionals claim that it can easily compete with high-end HDSLRs such as the Canon 5D mkIII. I currently own a Panasonic AF101 for my work in video, which has the same four-year-old sensor as the GH1, and I saw the capabilities of the GH2 last year. The GH3 has very interesting new features, such as a clean HDMI output and an ALL-I 72 mbps codec, which is supposed to give better results than AVCHD. With this first video, I decided to test the camera at high ISO, as this is where quality tends to deteriorate the most. All shots were performed with settings between 1600 and 6400 ISO, except for the shot at 1.26 minutes. The video was shot hand-held as I didn’t have my tripod with me. (I apologise if some of these shots shake a little bit.) The two lenses I used were the Olympus M.Zuiko 12mm f/2 and 45mm f/1.8. I set the recording format to the new ALL-I 72 mbps codec. I have some footage in Dropbox if you want to download and play around with the video using your editing software. At the moment, my first impressions are very positive: the images look very clean, even at high ISO. I also like the color rendition – 6400 seems more than acceptable. There also seems to be an improvement in the way the sensor handles highlights. (Highlights are the Achille’s heel of my AF101!) I didn’t grade anything in my timeline, but I did some quick tests with Premiere Pro and the new ALL-I format seems easier to handle compared to the AVCHD format. A downside is that it remains an 8 bit 4:2:0 color space codec, so you won’t get too far in terms of color correction. I will also try to record some footage using the clean HDMI output, which is supposed to give a 4:2:2 color space, and make a comparison later on. I like how the GH3 feels in your hand – ergonomically, it is very nice. I will describe this part in my first impressions review from a photographic point of view. For video, it is better to use some proper accessories such as rods, follow focus, etc. Stay tuned for the upcoming full review, and in the meantime, enjoy our first video!